Product Specification Gender Male Fabric Dri.. Product Specification Gender Male Fabric Twi.. Product Specification Gender Male Material F.. Product Specification Inner Fabric Canvas Parachute .. 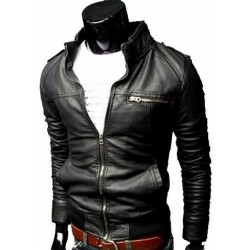 Product Specification Gender Male Material W..
Multi Pockets Zipper Designer Mock Jacket Product Specification ..
Black Faded Designer Jacket With Woven Patches Product Specification ..
Slimfit Short Leather Jacket‏ Product Specification Type..